October | 2015 | A . T . T . N ! The Tk20 Graphite upgrade is on its way! Tk20 has been touting this system change for months, so I am happy to report that it is nearly here… or is it??? Gone are the tabs across the top of the screen—navigation is being centralized into one left hand sidebar menu. “Create” and “Search” functions will no longer be separated. If you are looking at student learning outcomes, then buttons for both functions will be available to you. You can switch roles at any time from the top of the screen. You do not have to return to the “home” page to do so. A new “Ad Hoc reports” feature will allow us to combine information from different areas of the system. 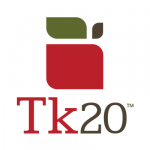 Additional information about Graphite and its features can be found both on the Tk20 website: http://www.tk20.com/comingsoon/index.html and in their recent topical webinars, recordings of which can be found on the assessment website: http://stcloudstate.edu/assessment/tk20/webinars.asp. In the aforementioned webinars, they state that the upgrade is coming in November. However, at a recent TK20 Mn User Group meeting, Tk20 stated that the upgrade will not be made available to those that have the Faculty Qualifications and Accreditation Managements modules until later—and that means us. They did not provide a target date for that roll out, which is called Graphite II. We will have to patient for a little bit longer, but I think the wait will be worth the new features. I will update campus with new information as soon as I have it. As always: let us know if you have questions! The online education quality assurance organization Quality Matters is holding their 7th Annual Conference. In case people who are interested cannot make it to San Antonio on November 1 through 4, they presented several options. There are presentation materials available on the website and they offer a few free webcasts (follow the links for specific information). Meanwhile, I will be preparing more posts on what Quality Matters offers to our institution, so that all faculty interested in Quality Matters can get quick facts on our blog. 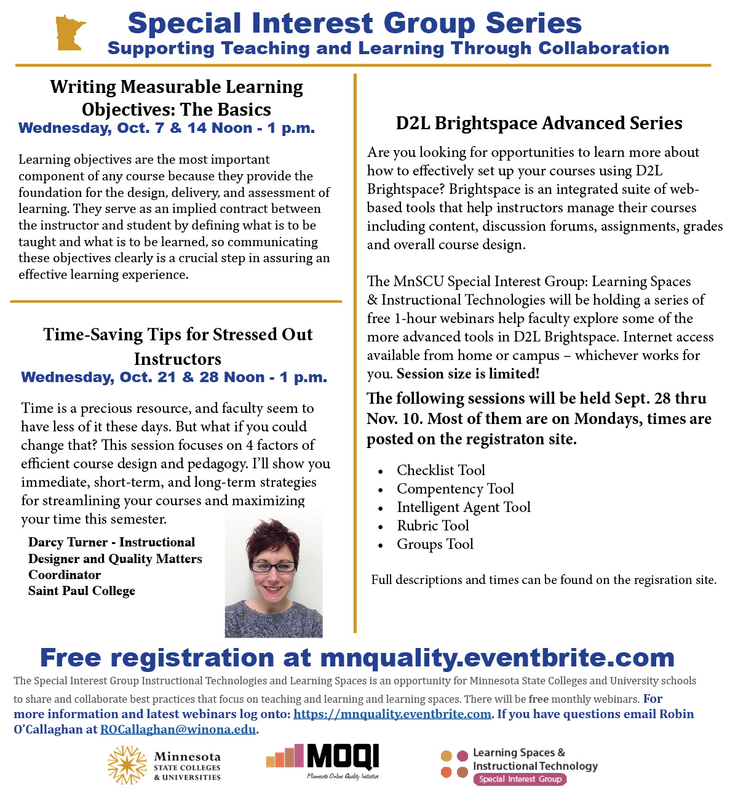 Q: How can I quicklink to a discussion forum in a D2L Brightspace course? A: It is possible to quicklink to a discussion forum in the HTML Editor. This option saves faculty time by creating one quicklink to the forum rather than individual topics. Follow instructions here.